Daniel Nichanian: Ohio's voter purges were upheld by the Supreme Court. That doesn't make them defensible. Daniel Nichanian Ohio's voter purges were upheld by the Supreme Court. That doesn't make them defensible. Given how few people vote Ohio, the state ought to be making it easier to go to the polls. They don't. Only 41 percent of registered voters went to the polls in Ohio’s 2014 general elections; the following year, just 43 percent voted. In the face of these abysmal rates, state officials should be focused on engaging the electorate and improving participation. But Ohio instead treats a failure to vote over such a two-year period as sufficient reason to trigger the process of removing someone from the voter rolls entirely. And on Monday, the Supreme Court ruled that doing so was perfectly legal. Ohio has adopted exceptionally low standards for how and when it determines that a voter is ineligible, and this has led to stark and discriminatory patterns of voter suppression. In a 5-4 decision written by Justice Samuel Alito, the Supreme Court vindicated the arguments of Ohio Secretary of State Jon Husted, a Republican who has argued that this practice serves to ensure a necessary housekeeping of voter rolls. Husted’s goals sound reasonable enough in a vacuum, but the issue here is not over the abstract idea of removing voters the state knows to be ineligible or deceased. Ohio has adopted exceptionally low standards for how and when it determines that a voter is ineligible, and this has led to stark and discriminatory patterns of voter suppression. Ohio’s purging practices disproportionately affect lower-income or minority households, which are less likely to vote regularly. A Reuters analysis of Hamilton County, which encompasses Cincinnati, found that 10 percent of registered voters were purged in heavily African-American areas compared to 4 percent in a predominantly white suburb. Across the three state’s three largest countries, Reuters found that "voters have been struck from the rolls in Democratic-leaning neighborhoods at roughly twice the rate as in Republican neighborhoods;" the former are likely to have larger minority population and higher shares of poor residents. In her dissent, Justice Sonia Sotomayor linked Ohio's purging practices to the "concerted state efforts” throughout American history to “disenfranchise low-income and minority voters." The majority ruling, Sotomayor charged, "entirely ignores the history of voter suppression against which the [National Voter Registration Act] was enacted and upholds a program that appears to further the very disenfranchisement of minority voters and low-income voters that Congress set out to eradicate." Besides which, given the terribly low turnout in U.S. elections it is grossly excessive to presume that someone’s failure to vote is indicative that they no longer reside at the address at which they are registered. Asking people to return a confirmation notice does not remedy this situation. Given the terribly low turnout in U.S. elections it is grossly excessive to presume that someone’s failure to vote is indicative that they no longer reside at the address at which they are registered. In 2012, Ohio sent out 1.5 million such notices (the state had about 8 million registered voters at the time); 1 million were left unanswered. "If those 1 million or so registered voters (or even half of them) had, in fact, moved, then vastly more people must move each year in Ohio than is generally true of the roughly 4% of all Americans who move to a different county nationwide," Justice Stephen Breyer wrote with sarcasm in his dissenting opinion today. "A nonreturned confirmation notice (as the numbers show) cannot reasonably indicate a change of address." Further, local boards employ greatly varying degrees of caution in deciding whether to purge voters, meaning that the likelihood of being purged for failure to vote is a matter of location. 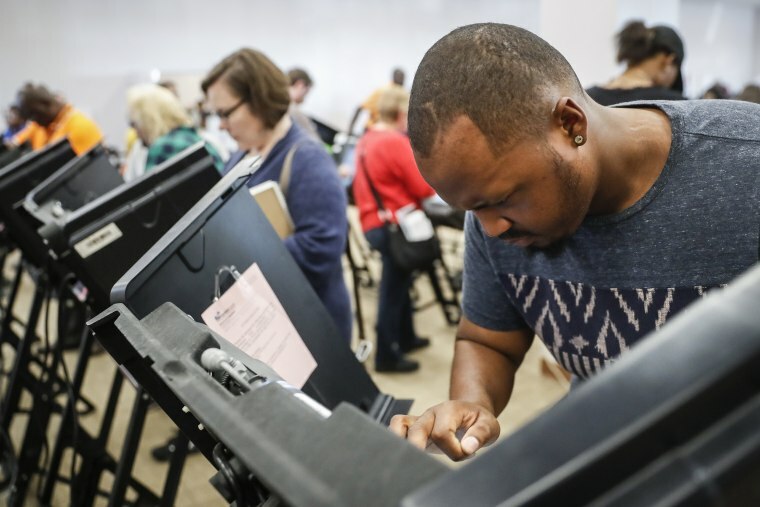 "We really don’t want a person’s ability to vote to be determined by the luck of where they live," Freda Levenson of the Ohio ACLU told FiveThirtyEight. What’s at stake in the aggressive quality of Ohio’s purging practices, is not combatting imaginary networks of voter fraud — Ohio, like most states pursuing practices that make it more difficult to vote, has never had any evidence of widespread or coordinated attempts to commit such acts — but a pernicious vision of what constitutes "civic competence" and who Republicans think has earned the right to vote. What’s at stake in the aggressive quality of Ohio’s purging practices, is not combatting imaginary networks of voter fraud but a pernicious vision of what constitutes "civic competence." "If this is really important thing to you in our life, voting, you probably would have done so within a six-year period," Husted said to defend his approach to purging registered voters. Here he is making no pretense that the mass purging of voters is valuable as a way to identify voters who have become ineligible; what is left is the dangerous underlying assumption that there is value to filtering out voters who will not jump through arbitrary and unevenly burdensome hoops, the idea being that the civic disinterest that their behavior allegedly signals marks them as unfit for participation in political life. Resisting this assumption means championing laws and practices that aim to significantly ease the burdens to voting and of registering to vote. A growing number of states have been adopting automatic voter registration laws and Election Day registration laws; Ohio has neither. Today’s ruling only increases the urgency that it and other states adopt them.